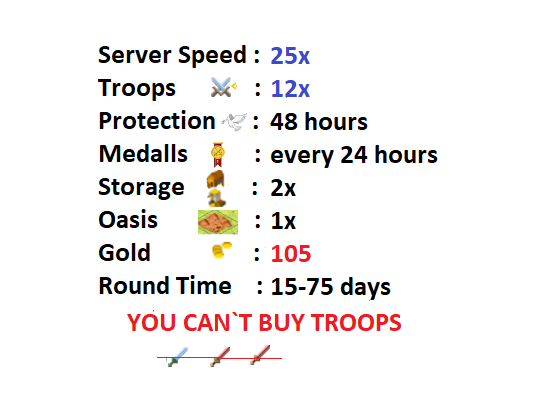 Crusader Travian Europe T3.6 20X is the largest Travian private server running 24/7 at 25x speed. Despite being located in Central Europe, our fast servers and Internet connection ensure a smooth and enjoyable experience for thousands of players from all over the world. And best of all, it's completely free! Please like%share to receive 50 gold!